After the quiet conclusion of Grandaddy's extraordinary decade-plus run in 2006, fans were left wondering what would become of one of indie rock's most affecting personalities, Grandaddy singer and songwriter Jason Lytle. 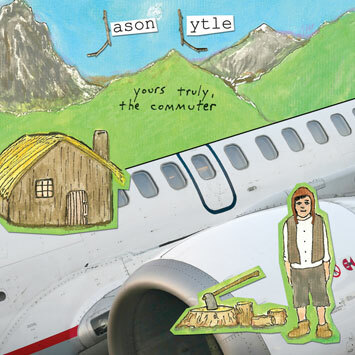 With the release of Yours Truly, the Commuter on May 19th that question will be answered, for Jason Lytle is back with a record that promises to surpass all expectations of even the most fervid enthusiasts. Seen most recently as a featured artist on the new M. Ward record Hold Time and live at Terminal 3 of the San Francisco International airport as part of the experimental holiday program "You Are Here," Lytle has thus far left little clue of the masterpiece up his own sleeve. "I may be limping, but I'm coming home"